TRS manufacture some of best quality road and motorsport harnesses in the world. 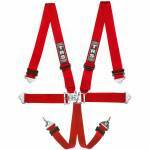 Made in the U.K to the highest standards, the TRS range includes road harnesses, FIA approved motorsport harnesses and Nascar harnesses. 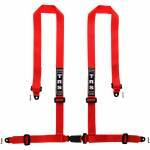 Available in a range of colours, with 3, 4, 5 and 6 point fixings, with harnesses specially made for 2 seater, 4 seater and single seater vehicles. Most Carnoisseur Outlets can offer a fitting service for TRS Harnesses - please contact your local Outlet to find out more.